TOURNAMENT -- SHINE A LIGHT ON NF. 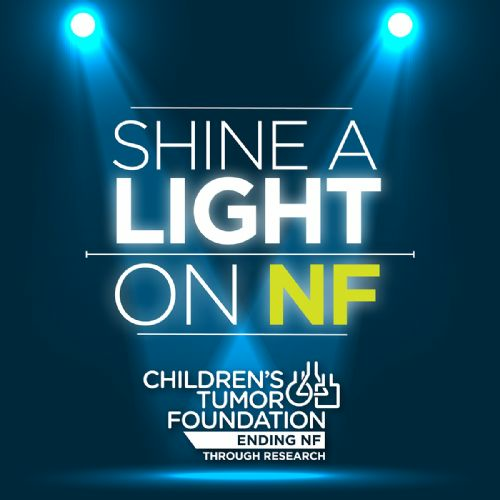 Quote Reply Topic: TOURNAMENT -- SHINE A LIGHT ON NF. From Midnight server time on the 17th of May through to Midnight on the 17th of June, any member of any alliance in occupation of these squares receives credit for holding the square. Any army arriving (= the so called combat occurance date) BEFORE midnight 17th of May will NOT be counted. So even if you have an army that arrived one second before the tournament start and stays there for the whole duration of the tournament not a single second of your occupation will be considered. So make sure that your armies arrive AFTER the tournament start. Credit is based on the length of occupation of each square. Time occupied by an alliance on each square counts towards the Alliance total. This credit is on an alliance basis - individual players cannot participate in this tournament. 1) The alliance that holds that square for the longest period of time, from 00:01 server time on Tuesday 17th May to 23:59 on Friday 17th of June) is the Regional Winning Alliance. 1) All activity on these tournament squares in each region will also be aggregated, so the top 3 alliances that overall have the most amount of possession across all squares will be the Global Winning Alliances, ranked First, Second and Third. 2) This runs for the same period of time: from 00:01 server time on Tuesday 17th May to 23:59 on Friday 17th of June). 3) All players that belong to the Global Winning Alliances who were involved in holding - and defending - that square (they must be involved in combat on the square at least once during the month) receive a Global Prize. First place: Gets 1b gold 200k of books, swords, bow, beer, cows, Horse, Leather Armour, and Chainmail, Plate Armour, 1 Soul-Forged Blade, 1 Dragon Spear, 51 Silversteel Spear, 10 Wine, 50 Draught Horse, 50 Steady Warhorse, 500 Heavy Warhorse, 200 Nimble Warhorse, 30 War Axe, 20 Elven Sword, 200 War Bow, 50 Boar Spear, 50 War Spear, 100 Over-Padded Armour, 30 Heavy Chain Armour, 200 Heavy Platemail, 50 Anaconda Skin, 50 Baboon Fur, 50 Brown Bear Fur, 50 Jaguar Fur, 50 Leopard Entrail, 50 Puma Fur, 100 Puma Fur, 50 Salamander Fang, 50 Wild Dog Bone, 50 Wild Dog Fur, 50 Wild Dog Heart, 50 Wolf Fur, 50 Deepsilver, 500 Iceheart, 650 Silversteel, 15,000 Grapes 150 Lemonwood Bough, 100 Pale Cedar Wood, 30 Corrupted Human Tentacle, 100 Air Salt, 50 Fire Salt, 100 Water Salt. ~7000 Prestige. All prizes will be sent to the alliance Capital unless otherwise specified to me by the alliance leader. credits Digioso (AKA Coderbear) for writing the programming the code needed for the Tournament. Edit; Fixed the time of end data. Added a rule. Added Server time to the first data. Added in Prizes. From Midnight on the 17th of May through to Midnight on the 17th of June, any member of any alliance in occupation of these squares receives credit for holding the square. Any army arriving (= the so called combat occurance date) BEFORE midnight 17th of May will NOT be counted. So even if you have an army that arrived one second before the tournament start and stays there for the whole duration of the tournament not a single second of your occupation will be considered. So make sure that your armies arrive AFTER the tournament start. Putting a prize is nice, but getting the activity is truly the fun of it all! How will you be monitoring who lands on unoccupied squares and for how long each player occupies the square(s)? Is the occupation granularity down to the "minute"? I am presuming the API key will only provide info if combat occurs so there will be potential for a lot of uncontested occupations throughout the four week tourney. Thanks again for all the hard work! The API key provides information about the type of the attack (EG if it's occupation attack or a fake attack). It also provides the occupation time for that army to the second. The script will check the outcome of the combat (was the attacking army destroyed or not?). If the 'attacking' army is a reinforcement from the same alliance it'll check whether the occupation time of the new army is higher than that of the existing defenders. If yes, the occupation time will be changed accordingly. If not, one of the defenders already has an army there with a higher occupation time than the new army. The script also calculates the occupaton start date plus the occupation time and if that is over (meaning all armies have left the square and there is no new army that occupies it) it'll mark that occupation as ended. The occupation end date is equal to occupation start date plus occupation time. The occupation time however is adjusted when a new army reinforces the square. Your army arrives on the 18th of May at 1am and you sent it there to occupy the square for three days. Occupation start = 18th of May 1am. Sounds like a lot of work, Digioso. Thank you so much for all the time you are spending. And thanks to kodabear as well! Btw: Fairy has entered in the tournament but I myself will not participate to avoid any potential accusations. The relevant API key you are wanting is from the "Combat Reports" option on the http://elgea.illyriad.co.uk/#/Player/Account?page=api correct? Do players need to be in the participating alliance before generating this key for you? I will be using the combat API key if the imited data api key isnt release by this weekend. unfortunately I have to so this. And yes the player will been to generate a key.